An IPO generally creates a great deal of interest among investors and in general, IPO is the only time when the share value of a business is fixed. Many companies did IPOs in India for 2016. As per market experts, 2016 is expected to see nearly Rs.50,000 crore raised through IPOs. Latest is the Bangalore-based Quess Corp, which filed DRHP with Sebi for a Rs. 400 crore IPO. Besides, L&T Infotech aims to raise Rs. 2,000 crore, Matrimony.com (Rs. 1,500 crore), International Tractors (Rs. 1,200 crore), Nihilent Tech (Rs. 613 crore), Paranjape Scheme (Rs. 600 crore), SA Apparels (Rs. 450 crore), VCCL (Rs. 400 crore), and Balaji Wafers (Rs. 300 crore). So, here are some tips for IPO investment. Assess the company’s performance and analyse the company’s growth over the past year before the IPO issue. If the company has outperformed the industry, then the stock could be a good pick, as the company’s fast growth trajectory will sustain in all likelihood. Obviously, situational awareness is essential while investing in the stock market. One has to monitor every development and accordingly make adjustments in the portfolio. Knowing the purpose of an IPO is an important step because it gives you an idea how the current issue money of the IPO would get utilized and how the company would grow. Read the IPO prospectus carefully before investing your money and get an understanding of the objectives toward going for an IPO and the risks associated. Along with the current prospectus, it is important to consider how the future prospectus of the company looks like. Try to get an understanding of the competition that faces the company and its sector. This will give you a rough idea about potential disruptors and other key aspects such as downward pricing pressures and so on. Compare to know whether the issue is under priced or over-priced. If an investor is paying a higher price than peers, the price may drop after the company lists on the exchanges. So, weigh all your pros and cons and accordingly formulate a strategy. 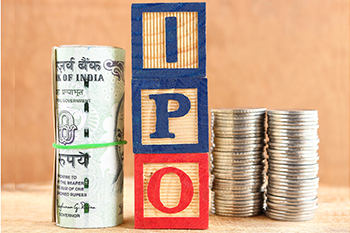 The companies that have plans to launch an IPO are rated by various rating agencies. Ratings are indicators that help you make up your mind on whether you want to invest your money or not. For example, IPOs with 3+ ratings indicate ‘good’ fundamentals. So, you can go ahead and invest.